Click to enlarge. First row left: front. 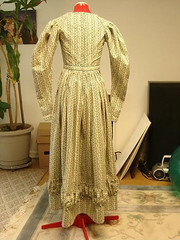 Right: back. 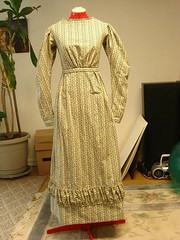 Second row left: inside lining. 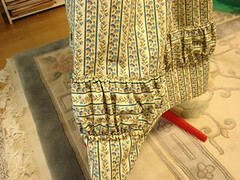 Right: back waist. 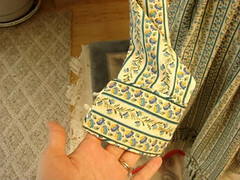 Third row left: sleeve cuff. 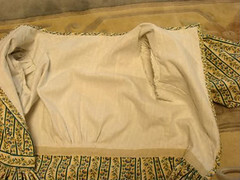 Right: hem decoration. 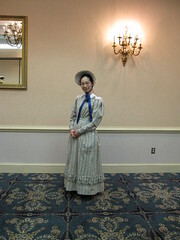 Fourth row left: wearing at Costume Con 27 2009. 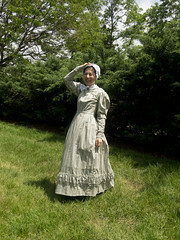 Right: wearing at Dress U 2012. Click to enlarge. 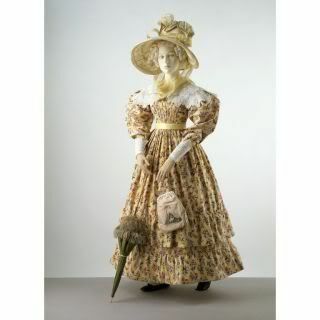 Left: c.1828 from the Victoria and Albert Museum. 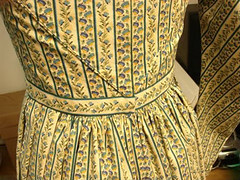 Right: 1825-1828 from Costume in Detail. Notes: Begun September 2008, finished March 2009. 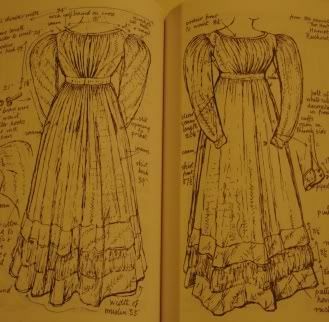 Main reference was Costume in Detail by Nancy Bradfield. 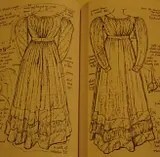 Also Nineteenth-Century Fashion in Detail by Lucy Johnston.